Any league with less than 25 teams is completely FREE. We don't limit you on features either, so sign up today and get your league started. 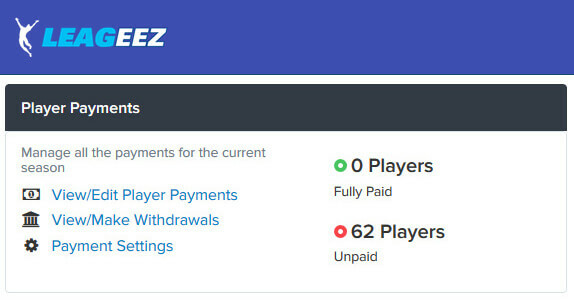 Leageez makes it easy to collect and manage all player payments. For just a 2.5% transaction fee, we will handle all player payments, allowing you to focus on the rest of your league. 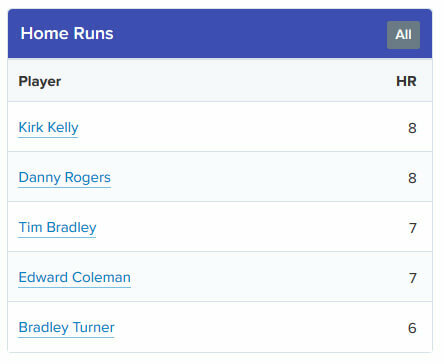 Record game statistics for every player in the league, allowing your players to compare and compete for top stats in the league. We have full support for almost any sport. This includes baseball, football, soccer, basketball, lacrosse, softball and volleyball. We strive to be the best and most affordable league management software. 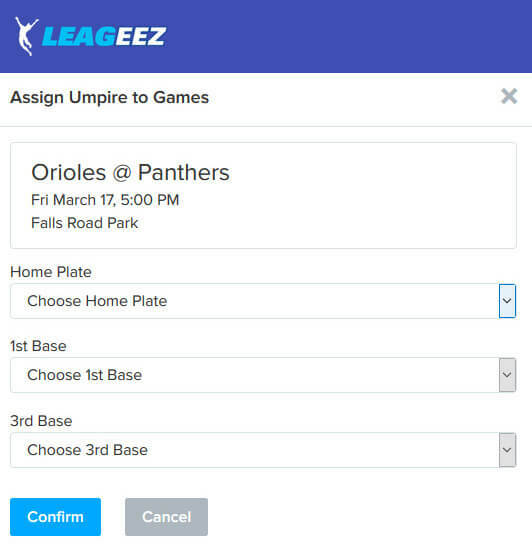 Anytime a game needs to be postponed, moved or added, all players can immediately be notified by email and messaging through our Leageez app. Easily send announcements and news to players, managers, parents or any other members of your league. Announcements can be posted to the league website or just sent as an email. Team managers often have a hard time finding out how many players will be attending each weeks game. 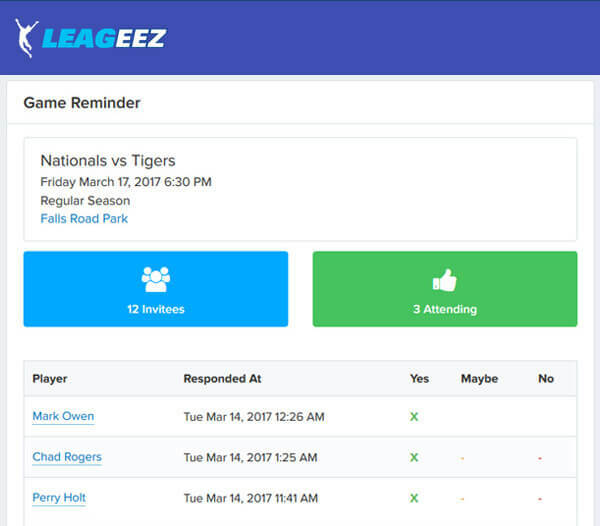 Now with Leageez, managers can automatically received individual responses from each player through our game reminder system. Our proprietary Leageez Scheduler allows you to enter a few simple season requirements and within a couple clicks, we will automatically generate a full league schedule for your entire league. Already have a schedule? No problem, we can import almost any existing schedule straight into our system, leaving you plenty of time to get back to running your league. The worst part about managing a league can often be collecting money from your players. With Leageez, we make it easy, and take the worry off your shoulders. 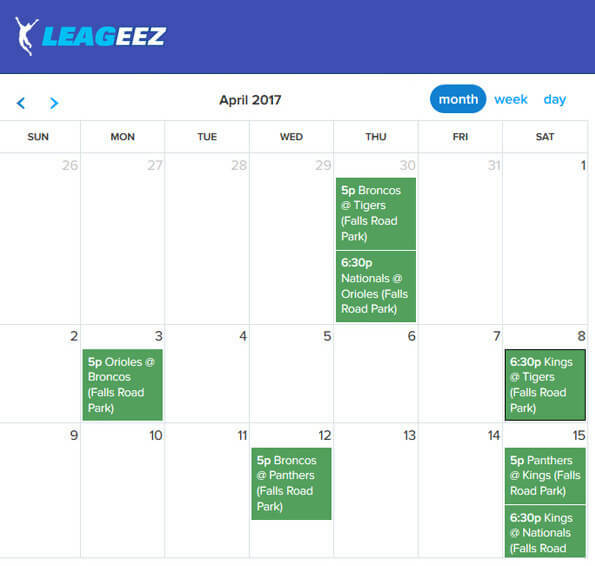 Leageez is setup so that your league can have pricing set for each of your divisions, discounts for multiple players, and automated reminders for making payments. Easily view standings for all divisions within your league. Your league can be setup to be points based or winning percentage based. 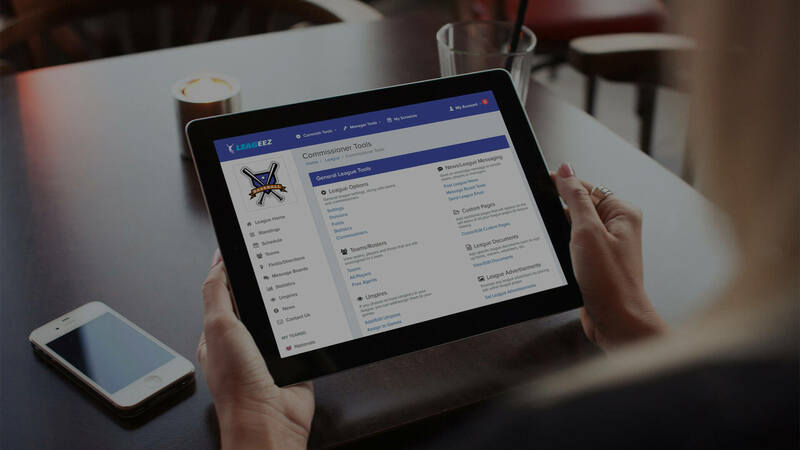 With Leageez, everything is customizable to fit your league's needs. Managers can enter a full team report for each game, allowing players an opportunity to get game recaps if they are out of town. Players can also post pictures and make comments on any of the games to further enhance the game experience. Another feature is to allow referees to comment on any game issues, conditions or anything that may arise during gameplay. Any comments will be sent back to the league commissioenr to decide if there has been any player dicipline issues. Our support team is always open to any feedback or questions. Please feel free to drop us an email from the form below and we will get back to you as soon as we can.